Nobel NC is the world’s leading manufacturers of industrial nitrocellulose, a film forming resin used in the inks and coatings market. It is a high quality, supremely flexible material that demonstrates outstanding functionality, excellent value for money and high standards of safety. It delivers genuine competitive advantages. The unique granular format gives Nobel NC nitrocellulose superb flow characteristics. It is easy to handle and virtually dust-free, displaying minimal solvent migration during transport and storage. Above all, it creates end-products of unrivalled clarity, that meet and surpass increasingly demanding industry standards. Nobel NC extensive nitrocellulose product range is designed to meet current and future application requirements. The company maintains its position at the forefront of the industry by substantial investment in research and development and a commitment to innovation and expertise. 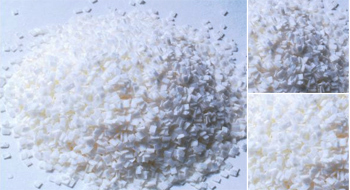 Industrial nitrocellulose produced by Nobel NC has a nitrogen content between 10.7% and 12.2%, with products specially manufactured within three ranges. The nitrogen content of the nitrocellulose affects the polymer solubility and its thermoplasticity. Low nitrogen grades (L) are extremely soluble in alcohol. They are used in the formulation of spirit based inks, such as flexographic packaging inks. Low nitrogen grades are also used where higher thermoplasticity is required, such as in heat-seal lacquers. High nitrogen (H) grades are preferred in general lacquer applications because of their superior compatibility with a wider range of resin types and higher tolerance for aromatic diluents. Their use can result in the formulation of more economical solvent mixes. Extensive tests on lacquers containing nitrocellulose of all nitrogen types (H, M and L) show that nitrogen content does not affect durability. As with all polymers, the strength and durability of the nitrocellulose lacquer film depends on the polymer molecular weight, which in turn is related to the product's viscosity. Nobel NC nitrocellulose is produced in a range of viscosities to give formulators almost unlimited flexibility. We recommend the lowest viscosity grades DLX 3 - 5 and DHX 3 - 5 for high solids inks and lacquers where high gloss and build are more important than durability and high film strength. Film strength improves as the viscosity increases. The higher viscosity grades are typically used where durability and/or flexibility are required, such as in wood coatings, auto refinish paints and film coatings for cellophane. DHX 30 - 50 probably represents the best compromise between good durability and solids content. Where more flexibility is needed, such as for leather lacquers, we recommend DHL 25 - 45.